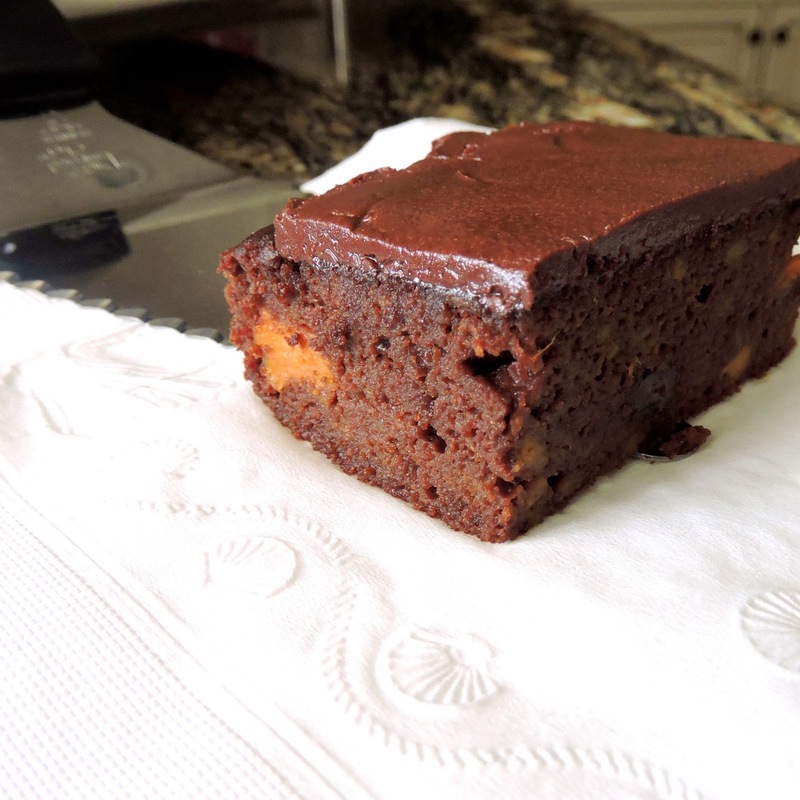 Brownies have been on my list of desserts to "Paleo-fy" for quite some time now. I finally went for it, and my only regret? Not making them sooner! 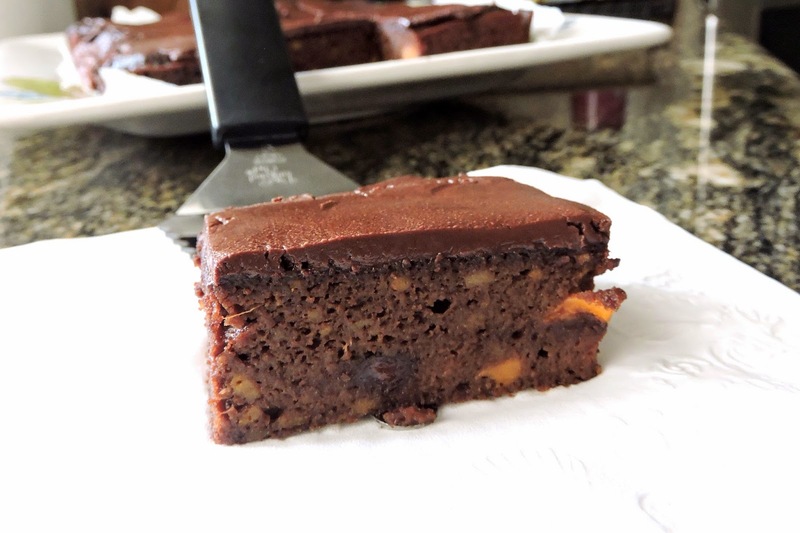 They are the most incredibly moist, rich, and fudgy brownies I have ever tried. The fact that they are gluten, grain, soy, and dairy free, and actually full of healthy ingredients, is just a huge bonus! I snuck an entire large sweet potato into this recipe, and I promise you (nor your kiddos) will ever taste it. Both the sweet potato & the coffee are my secret ingredients that lead to the most decadent chocolatey brownie you will ever taste. The frosting is amazing too- it adds the perfect fudgy layer & amps up the chocolate factor even more. You guys have got to try these out... You will not be disappointed! Eat the whole pan yourself, or share them with your loved ones if you want to earn some major brownie points ;) ...lame pun intended. Please let me know if you try them out! I hope you enjoy them as much as I do. Cook the sweet potato in an oven or microwave until soft. Cut it in half lengthwise, and scoop out the flesh into a large bowl. Mash the sweet potato with a fork until there aren't any large chunks. Add the wet ingredients to the mashed sweet potato, and mix until combined. Combine the dry ingredients in a small bowl (including the chocolate chips), and slowly add it to the wet ingredients. Line an 8" square baking pan with parchment paper, and give it a quick spray with coconut oil. Pour the brownie batter into the pan, and pop it in the oven. Bake the brownies at 350ºF for 30 to 35 minutes, or until a toothpick inserted into the center comes out clean. 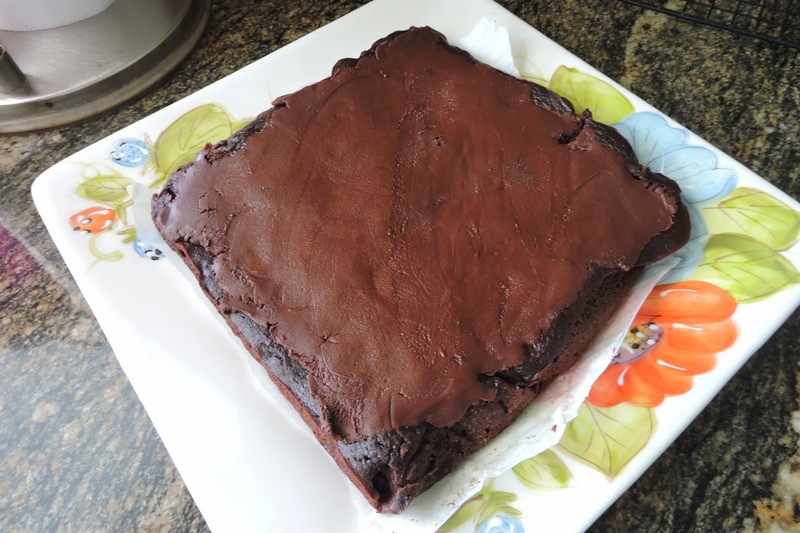 Transfer the brownies to a cooling rack, and move on to the frosting. Add the chocolate chips, coconut oil, and maple syrup to a small bowl. Heat it in the microwave for 20 to 30 seconds, until the chips begin to melt. Mix it thoroughly. Spread the frosting over the cooled brownies before cutting. 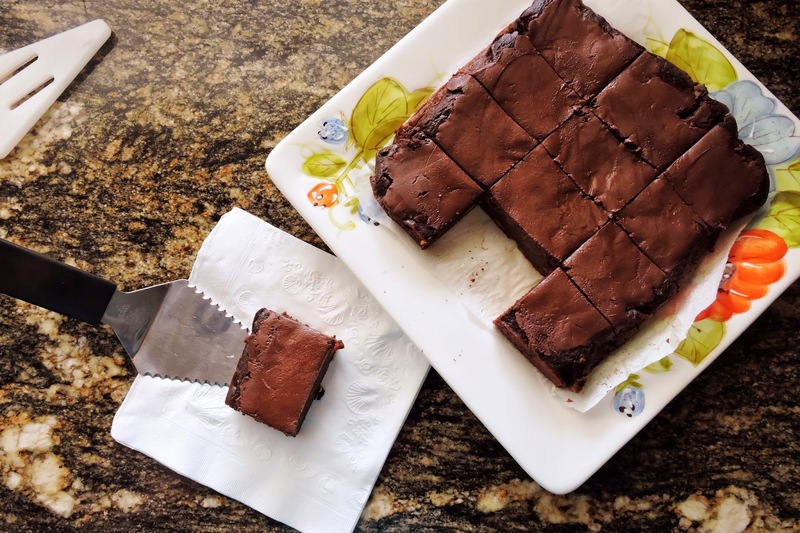 Cut into 12 or 16 squares (depending on how big you want your brownies!). Enjoy! And come back to let me know how you like them! Hi Jessie, just made these for tomorrow. Should I store in the fridge or on the counter? Thx! Hey! I left them out and everyone LOVED them! I will refrigerate the rest tonight! Another fab recipe! Thanks! Also for the coffee can you use instant cool brew coffee or are you supposed to use coffee grinds? Holy PaleOMG!! These brownies have been the hit of every party I've been to in the past month. I originally made them as a trial and didn't have much hope, but when they were the first thing gone at a football party I knew I would have to make them again. I've made these brownies about 8 times in the past 6ish weeks. They are now the #1 dessert peopel ask me to make! They are absolutely delicious. Nobody believes me when I tell them that they are Paleo. Absolutely delicious!